Hidden Zones can be found in the Tools menu on the side. Hover over Zones and then click on the Hidden button. You will now be in the Hidden Zones mode. You will know because you will have a mini fog icon next to your pointer. To create a Hidden Zone, just press down with your LMB and drag select. You can create multiple Hidden Zones as well as overlap them. To delete Hidden Areas, you just click on the boxes. Hidden Zones can be used to hide certain areas, which can be great for RPGs or if you just want to have a private zone for yourself. Anything within these zones are hidden from other players. You can only see inside your own color. So if you were red, you’d only see inside the red zone. You can right click on a zone to change the color or click on the settings icon to bring up a mini menu. 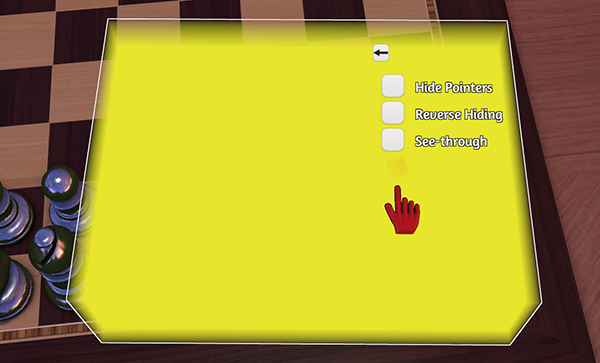 Hide Pointers: Checking this box will hide all the pointers so they cannot be seen inside the zones (other than your own). 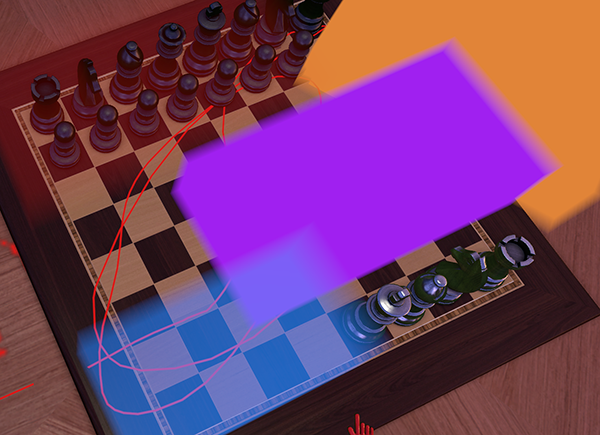 Reverse Hiding: Checking this box will let everyone see inside this zone except the player whose color it is. See-through: Checking this box will make this particular zone solid. When using a solid zone, everything is hidden including the table, any boards, and drawings with the vector & pixel tools. If you want just one person to see in your zone and vice versa, then join the same team. Team members can see inside each other’s Hidden Zones and Hands. 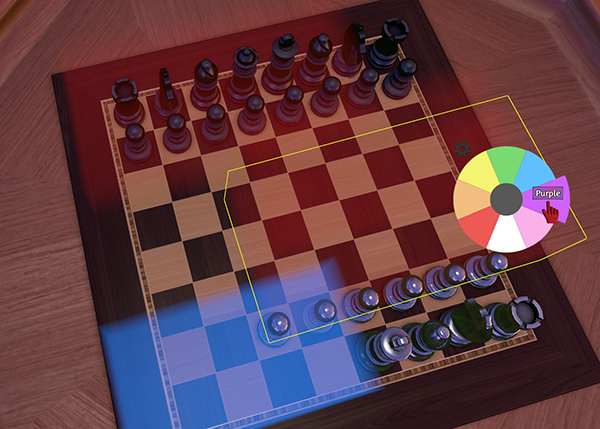 The Game Master (color black) manages games and can see all Hands and Hidden Zones. 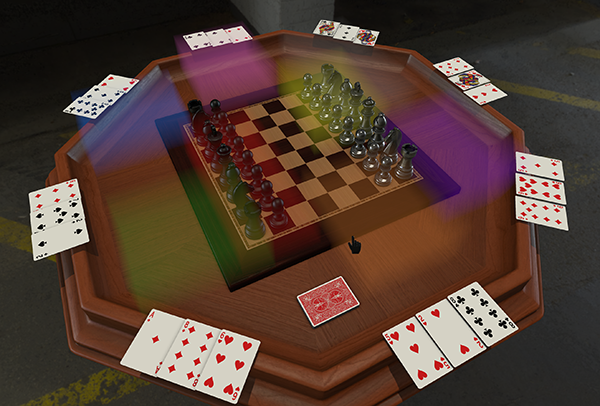 Game Masters do not take up a spot on the table, but they can use any available Hand or Hidden Zone to hide information. Only the host can choose Game Master or promote someone to Game Master. You can also modify the size and volume of hidden zones for precise placement and reveals. Click on the Gizmo Tool in the side menu and you can now edit your zones however you wish. You can read more info about the Gizmo Tool here. 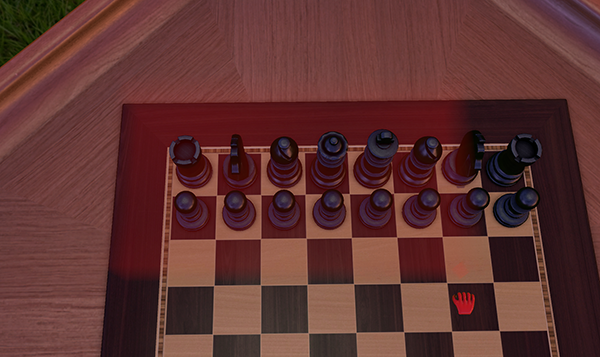 Hidden Zones do NOT prevent other players from interacting with your pieces.